The BBC reports that the daughter of Guglielmo Marconi, the Princess Elettra, has been shocked by the derelict condition of her father’s former factory in Chelmsford, England. Once providing a makeshift studio for the very first radio broadcast intended purely as entertainment, the factory has now become a local shooting gallery and residence of last resort — undoubtedly still offering an abundance of cross corporeal transmissions. 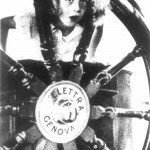 Guglielmo was evidently quite fond of the name Elettra, giving it to both his daughter and his yacht, which doubled as a floating laboratory for his lifelong investigations into the vagaries of maritime wireless communication. SOS, as in Save Our Ship or Sink Our Ship? History has heard plenty of both. The first entertainment broadcast beamed forth on June 15, 1920, featuring the voice of Dame Nellie Melba, who gave her name to toast and to a peach dessert. Opening with a rendition of “Home! 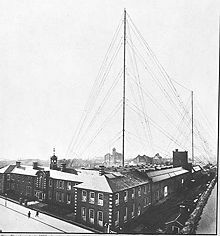 Sweet Home!”, the broadcast was confirmed as having been clearly received from as far away as Newfoundland, and was even recorded by wireless enthusiasts in Paris. 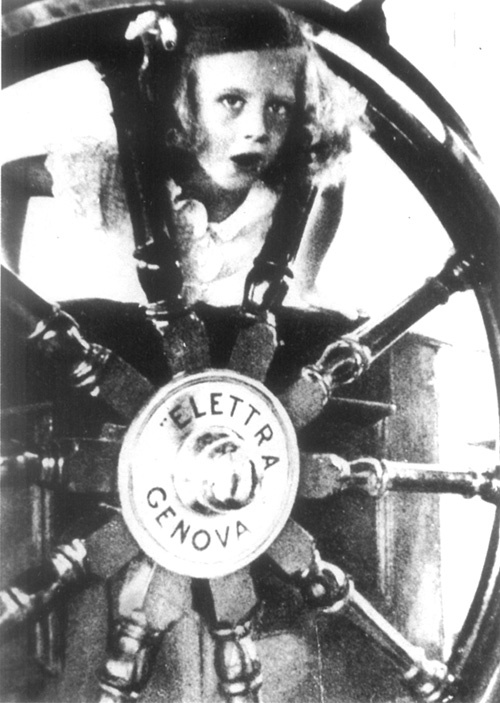 A quite entertaining video documentary of Melba’s performance can be found here. 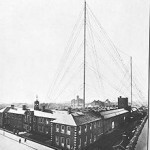 From all accounts, the broadcast was a great success, the one complaint being that the strength of the signal obliterated all other wireless transmissions in the vicinity, a strength that contrasts notably with Marconi’s first attempt at transoceanic wireless on December 12, 1901, centering around the infamous letter “S”, dot dot dot. Did Marconi actually hear the S, up there on Signal Hill, or did he hear what he wanted to hear, amidst the crackle of cosmic interference? I swear I heard a dot dot dot... really! 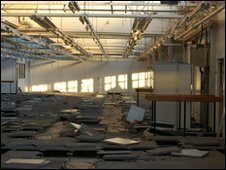 In any event, one wonders what is to become of the derelict factory, given that Elettra, for all her horror at the state of decay, does not appear eager to twitch a single noble finger towards purchasing the property. I suspect that the market for luxury flats is not exactly on fire in Chelmsford, and of course, the English, like Americans, don’t really fabricate much of anything anymore, not even Melba toast. But whatever the future brings, it is clear that the good ship Marconi at Chemsford has been forever dismasted.